The story is about when the world is young and the birds do not have feathers. They have to go underground and into hiding to keep warm in the winter. They decide to ask the wise moon what to do once spring comes. 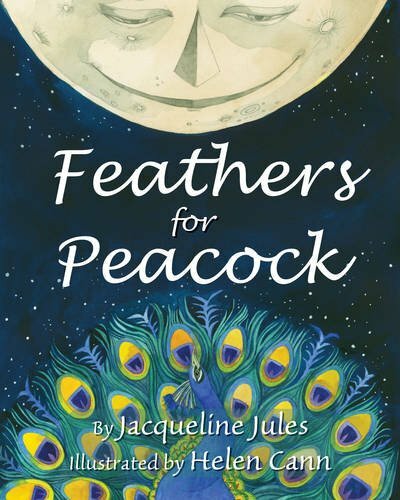 The wise moon tells them what to do and they wake all the birds and share the news however peacock buried himself under leaves underground and is not found. 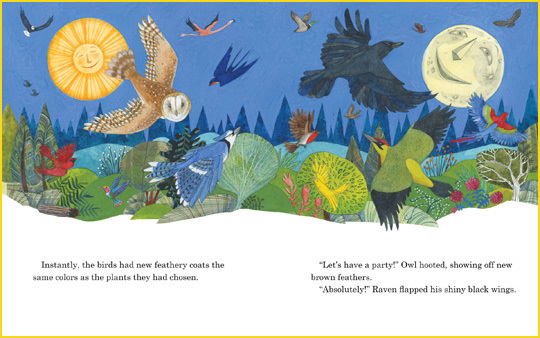 The other birds get their feathers and are so happy they decide to have a party. The noise from the party wakes peacock and the birds see he is still naked and cold. They cannot let their friend be naked and cold so each bird gives them a feather. 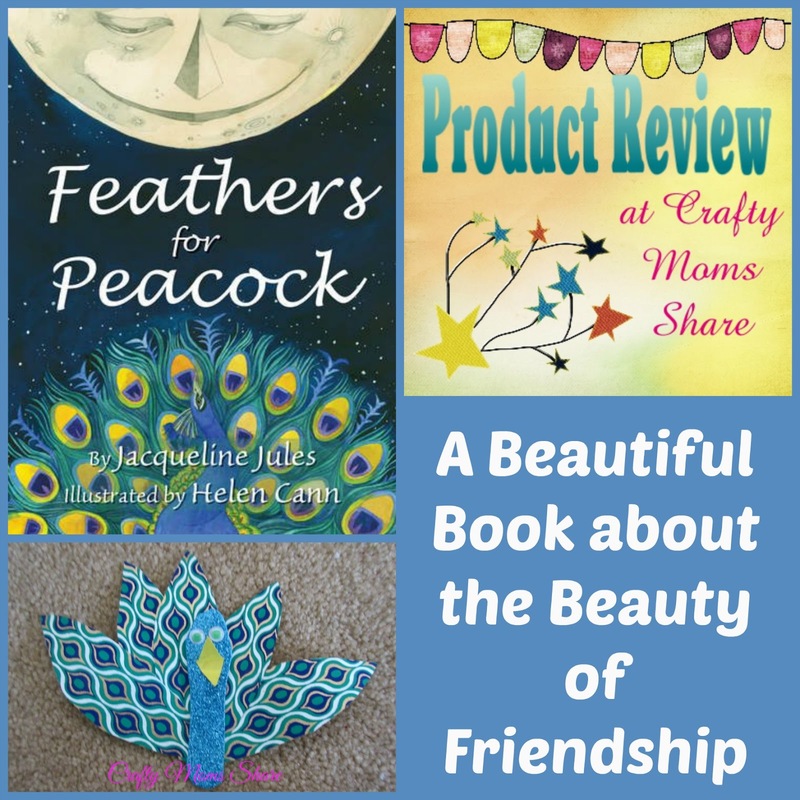 Now peacock is a mixed up rainbow mess and the wise moon helps him become the beautiful bird he is today and tells him to spread his tail out to show the importance and beauty of friendship. The illustrations in this book are beautiful. 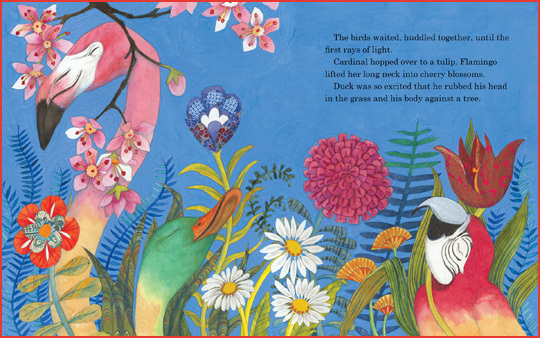 The colors are so vibrant and the tale is so sweet. It is a new favorite. Plus of course Hazel loves that both the flamingo and duck are featured in it. This is a must read for anyone who loves birds and friends. We decided to make a peacock craft with the book. 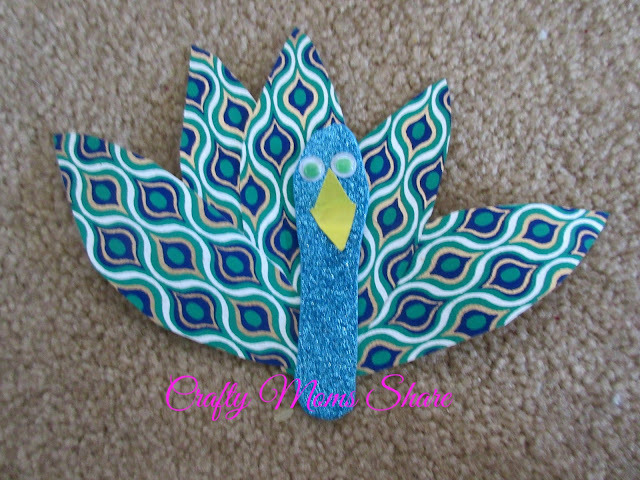 We both had different ideas of how to do the feathers but we used some fine paper from work that had peacock design on it. We cut the shape of a wooden ice cream spoon for the body out of glittery foam. I decided to cut my feathers in a feather shape. Hazel wanted a circular shape for the feathers. 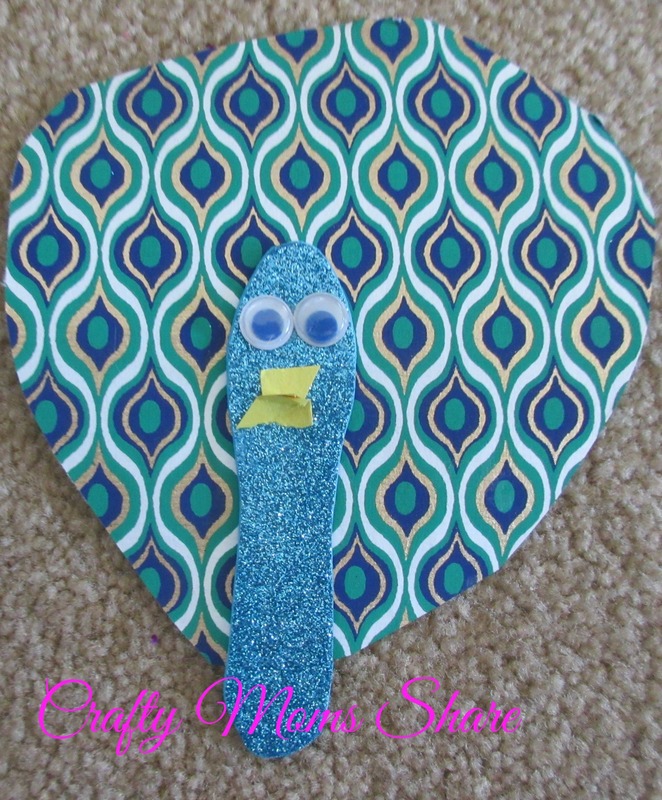 She also cut her own beak pieces. I showed her the easy way afterwards. For more peacock crafts check out: 1 Corinthians Peacock, origami peacock, and cupcake liner peacock. 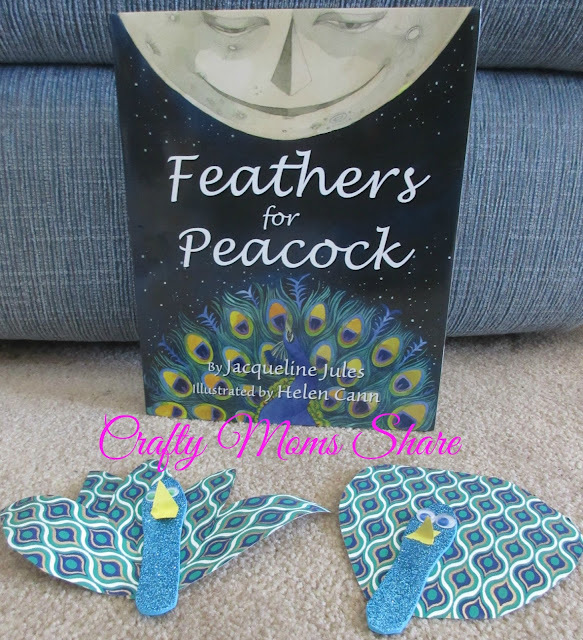 We hope you will check out this beautiful book! !